It begins with a mystery. Sylvie, the beautiful, brilliant, successful older daughter of the Lee family, flies to the Netherlands for one final visit with her dying grandmother—and then vanishes. But what happened to Sylvie? Amy and her parents are distraught and desperate for answers. Sylvie has always looked out for them. Now, it’s Amy’s turn to help. Terrified yet determined, Amy retraces her sister’s movements, flying to the last place Sylvie was seen. But instead of simple answers, she discovers something much more valuable: the truth. Sylvie, the golden girl, kept painful secrets . . . secrets that will reveal more about Amy’s complicated family—and herself—than she ever could have imagined. 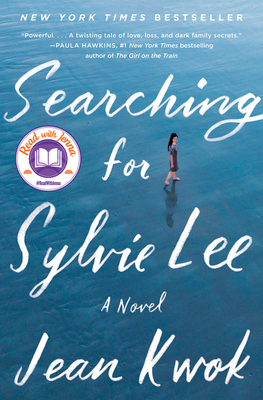 A deeply moving story of family, secrets, identity, and longing, Searching for Sylvie Lee is both a gripping page-turner and a sensitive portrait of an immigrant family. It is a profound exploration of the many ways culture and language can divide us and the impossibility of ever truly knowing someone—especially those we love. Jean Kwok is the New York Times and international bestselling author of Girl in Translation and Mambo in Chinatown. Her work has been published in eighteen countries and is taught in universities, colleges, and high schools across the world. She has been selected for numerous honors, including the American Library Association Alex Award, the Chinese American Librarians Association Best Book Award and the Sunday Times EFG Short Story Award international shortlist. She received her bachelor's degree from Harvard University and earned an MFA from Columbia University. She is fluent in Chinese, Dutch, and English, and currently lives in the Netherlands.